GSC has today announced that it has released an early, but playable build of the original STALKER: Shadow of Chernobyl for fans of the series who want to take a look at how the game might have been. 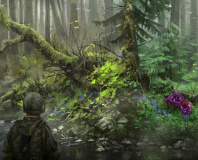 The original STALKER was long stuck in development hell and went through many, many different iterations and versions, with the final release being more simplified and scaled down compared to the original vision. 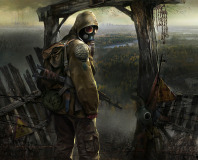 The initial idea was for the world of STALKER to be a much more open, free-roaming world, but many areas were cut from the game at the last minute. While the full game was released in 2007, this build released by GSC today is from October, 2004 and is listed at Build 1935. It includes some areas that weren't seen in the final game, as well as some features that were culled from the released version. You can download the game from the GSC forums, but the developer is providing no support for the game at all - so expect it to be a little bit buggy. Much like the original release of STALKER: Clear Sky - zing! If you want to compare notes with the different versions of the game then you can check out our review of STALKER: Shadow of Chernobyl, as well as our initial review of Clear Sky and our post-patch re-visit. Going to have a go with the 2004 build? Let us know how you get on in the forums. Purported Putin letter the final straw. STALKER 2 is now in development for multiple platforms.